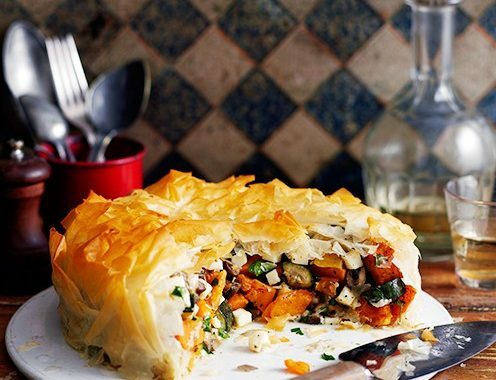 With a wide variety of pies to enjoy, we celebrate Pie week with this delicious vegetarian pie. Preheat oven to 200°C (180°C fan) mark 6. Put veg into a large roasting tin and toss through the oil, dried herbs and lots of seasoning. Roast for 30min, tossing midway through and aside to cool completely, then stir through the halloumi and fresh herbs.